This toy dragon is from The Sims Medieval, and I made him a clone of the Open For Business fire truck toy (from the craft bench). that means your sim kids can play with him, like with the fire truck. 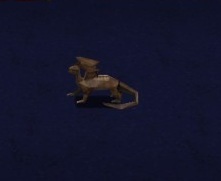 the dragon appears in the catalog under Misc. -> Toys. that would be great! I can help with your list, If you like. If you give me your e-mail I can e-mail my finds, or can do a post here, If you like. I have a lot of the stuff on your list, but I have other stuff too!